Spring is a time of great excitement. The weather is warming and we are all eager to end our long winter hibernation. You may have a to-do-list ready with items like spring cleaning, adding flowers to your garden, or even plan a few weekend trips. However, there may be one thing on your spring to-do-list that, perhaps, has been simmering for a few years, if not decades, in the back of your mind: to finally pick up the instrument you have always wanted to learn, and begin the journey of mastering something new. Among the biggies each year: "I want to... eat healthily, read more, hit the gym, travel..."
All Newton Music School held the first weekly Free Drop-In Musical Mornings class with Ken Dorosario this past Thursday, September 20th. The fabulous crowd of 18 little ones, ages 0 to 5, and their caregivers enjoyed rousing music, movement, and instrument play. Music has a profound impact on young children and we are proud to be offering this free course to families in our community. 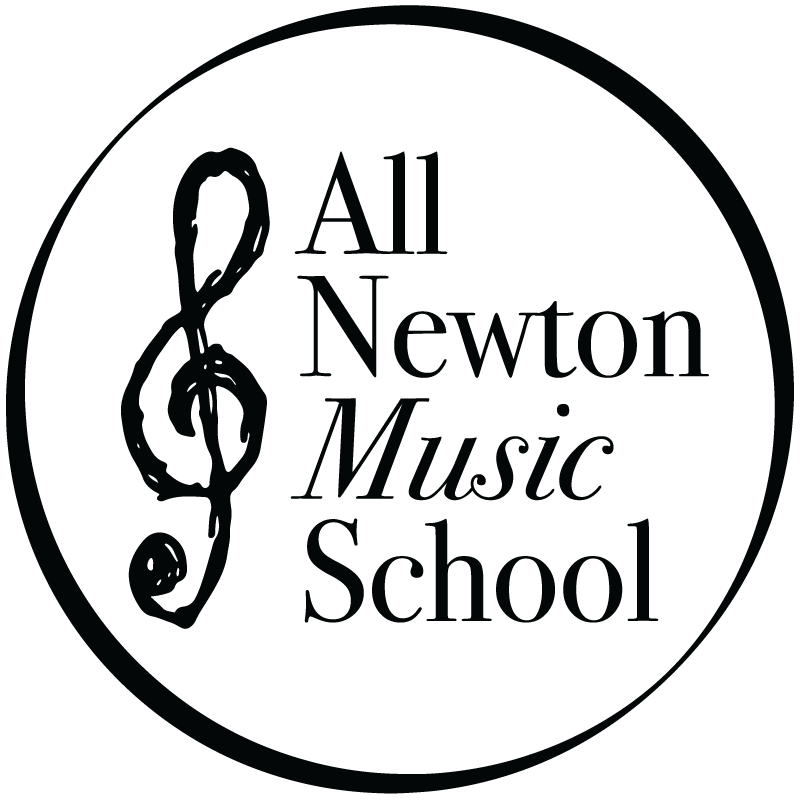 Each May, for thirty-five years, All Newton Music School celebrates our students' achievements and our teachers' dedication with a daylong festival of music. On Saturday, May 19th, our tradition continued with over 450 performers and 2,000 guests enjoying recitals, xylophone bands, Chestnut Orchestra, outdoor fiddling, chamber music, musical theater performances and the rock bands closing out the afternoon. Over 180 members of the Newton community came together at All Newton Music School for a celebratory concert honoring ANMS’ executive director of 30 years, Paulette Bowes. Clarinetist Paulette Bowes was joined by Violinists Arturo Delmoni and Lucia Lin, Violist Scott Woolweaver, Cellist Owen Young, Soprano Pamela Wolfe, and bassist Moises Carrasco in a concert of Mozart and Weber clarinet quintets as well as Schubert’s Shepherd on the Rock.